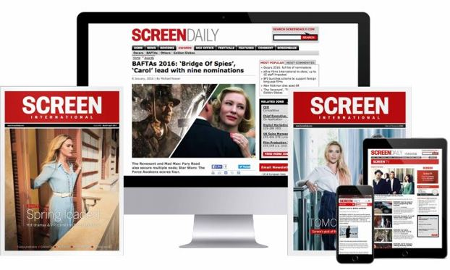 German sales company Global Screen has sold To Life! to North America (Menemsha Films), Australia and New Zealand (JIFF Distribution), Brazil (Tele Cine) and South-East Asia (Suraya). Menemsha Films, the Santa-Monica-based distributor of arthouse films, acquired all rights to the German-language drama and plans a theatrical release this autumn. The film centres on aging, Jewish cabaret singer Ruth and the young but terminally ill Jonas. Despite the age gap and entirely opposite experiences in life, they form an intense bond and give each other a reason and purpose to live. “To Life!”, which translates into German as “Auf das Leben!” and into Hebrew as “L’Chaim!”, is a popular Jewish toast. Ruth is played by German grande dame Hannelore Elsner (No Place To Go, Cherryblossoms) while Jonas is played by young star Max Riemelt, soon to be seen in a lead role in the Wachowski’s Netflix original series Sense8. Uwe Janson directs the film, that shifts between the Second World War, the post-war generation and today. It also features renditions of Jewish music classics that have been re-recorded and newly interpreted for this film. The film received its world premiere last August at the Montreal Film Festival. It is produced by CCC Filmkunst in co-production with MZ-Film and ZDF in cooperation with ARTE. It is supported by Filmstiftung NRW, Medienboard Berlin-Brandenburg, FFA and DFFF.